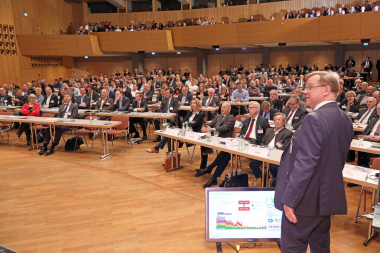 On March 07 and 08, 2019, it is time again for the German Construction Technology Day in Stuttgart. 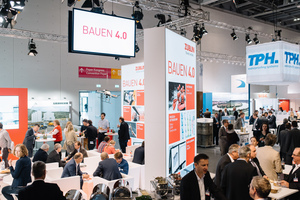 The German Society for Concrete and Construction Technology (DBV – Deutscher Beton und Bautechnik-Verein) is once again expecting more than 1,500 participants, including public- and private-sector clients and operators, representatives of the construction industry, planning, politics and administration, science and research. „The change process in the construction industry needs our ruthless analysis of the actual situation, it needs our ability to think in a new way and to develop new solutions,“ says Klaus Pöllath, DBV chairman. „The change process will work if we are curious about what is new and if we consider change as an opportunity and if we, as manipulators, take everyone else along,“ states Pöllath motivating his business colleagues. Under the motto „Change needs visions and makers“, DBV intends to give the right impetus together with the more than 1,500 participants in the German Construction Technology Day 2019. DBV remains true to the well-proven combination of congress, exhibition and face-to-face exchange. 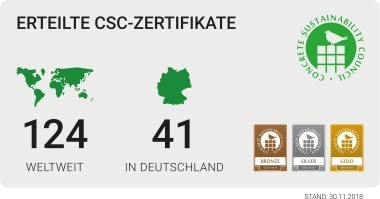 The ICS Stuttgart location has also proven to be a good choice. The exhibition space was sold out in record time. The congress program, as always, offers a wide range of topics for everyone involved in the construction industry and has been published now. The top-class program jury chaired by DBV chairman, Klaus Pöllath, had selected the technical program from the more than 160 submissions. The program could hardly be more up-to-date: change by digitalization, building construction, industrial and commercial construction, bridge construction, lean construction and resource efficiency, to name but a few examples. The opening speech of the congress will be given by Prof. Norbert Lammert, retired President of the German Bundestag, in the year of the European election, with his keynote address „Europe – construction sites, bridges and major projects“. „German industry in the age of the digital transformation“ is the topic of Prof. Dieter Kempf, President of the Federation of German Industries (BDI – Bundesverband der Deutschen Industrie), at the plenary session on the second day of the congress. If these highlights are not enough, Prof. Udo Di Fabio, retired judge of the Federal Constitutional Court of Germany, will present the professional audience with his legal opinion „Safety of building structures under internal market conditions“ that he prepared for the BVPI (German Federal Association of Inspection Engineers). The evening event at the exhibition on March 07, 2019, and seven excursions to construction sites and buildings in the region on March 08, 2019, will complete the participation at the German Construction Technology Day in Stuttgart. Registrations are now possible at www.bautechniktag.de – as easy, paperless and digital as never before. The attractive conditions for early registrations are valid until January 10, 2019. For employees of public administrations (authorities without own revenues) there is a limited quota of reduced tickets available for € 50 per participant; there is a limited free quota for professors and student.